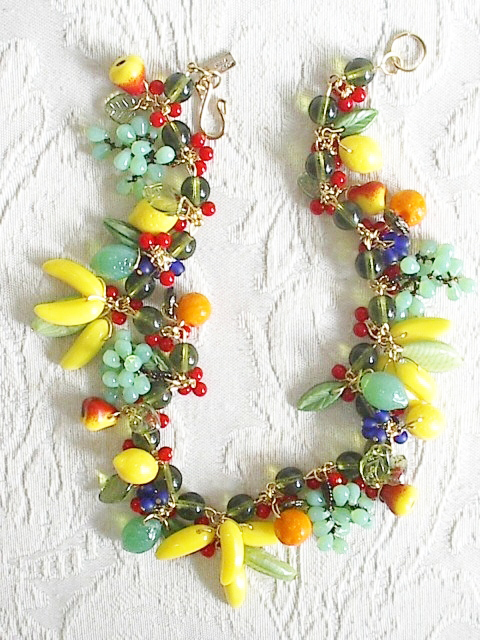 Fun & Fruity ~ Fruit necklace! 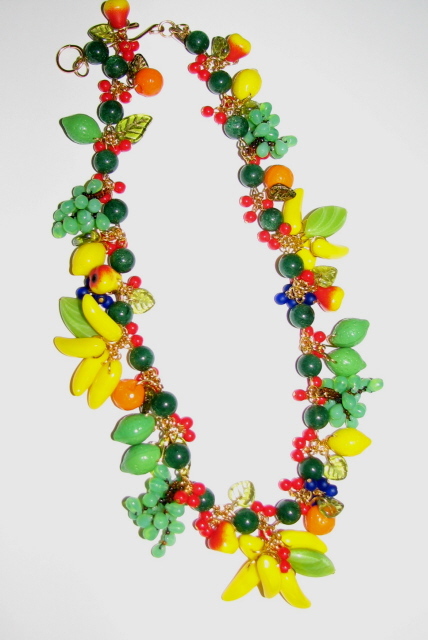 Your choice of round glass beads on necklace: 1) clear olive green, 2) dark green aventurine/"new jade", 3) light green aventurine, 4) cherry red glass, 5) clear yellow glass (4&5 not shown). 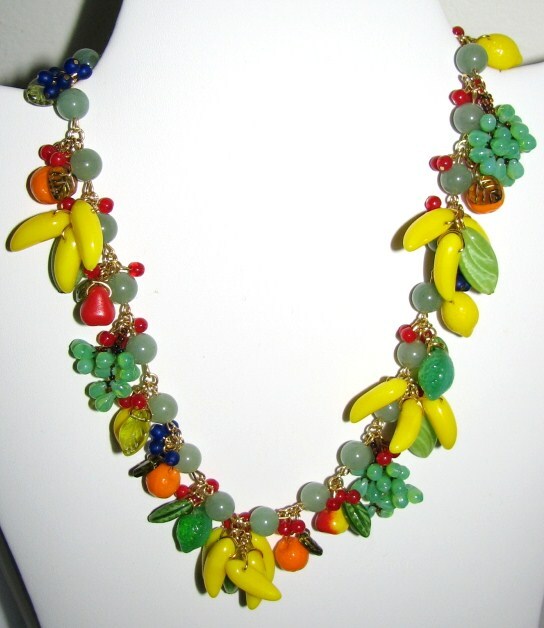 Fruit necklace made with glass fruit pendants, and glass leaves, using gold plated findings, signed on gold filled "Julia Bristow" tag.